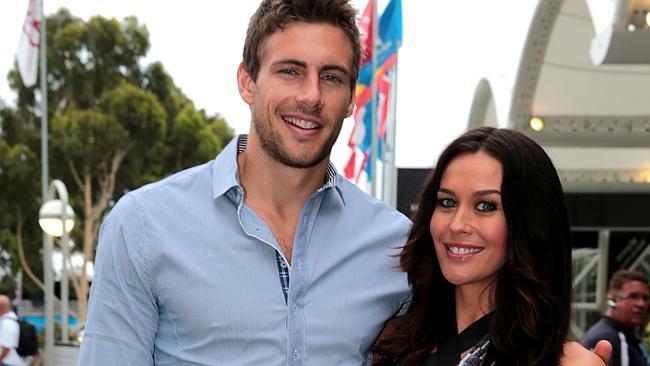 Model Megan Gale, and her partner, AFL footballer Shaun Hampson, welcomed their first child on May 13 and have named their son River Alan Thomas. 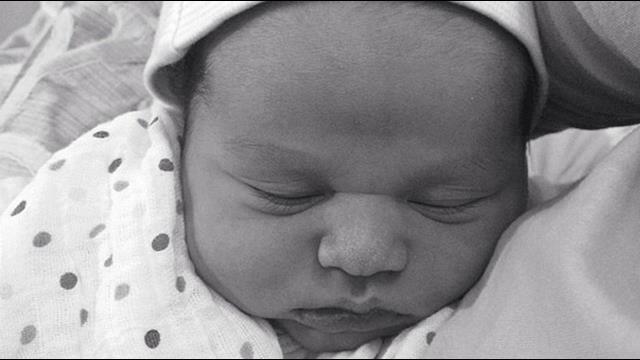 River Hampson was born at 4.47 am weighing 3.87 kg (8lb 5oz). Rivers is Megan’s mother’s maiden name, Alan is after Megan’s father, and Thomas after Shaun’s father. Megan won a Perth modelling competition at the age of 18, and has modelled for Italian fashion houses and Australian designers. She has appeared in advertisements in Italy, and in 2003 was chosen by the Australian Tourist Commission to represent the face of Australia in Italy. She was ambassador for department store David Jones for ten years; the longest fashion contract in Australia. Megan retired from catwalk modelling in 2008 after fifteen years, and has also worked as an actress and television presenter. Currently she is the host of Project Runway Australia, and an ambassador for L’Oreal . Shaun played for Carlton from 2007 to 2013, and this year has signed with Richmond. He and Megan have been dating since 2011.